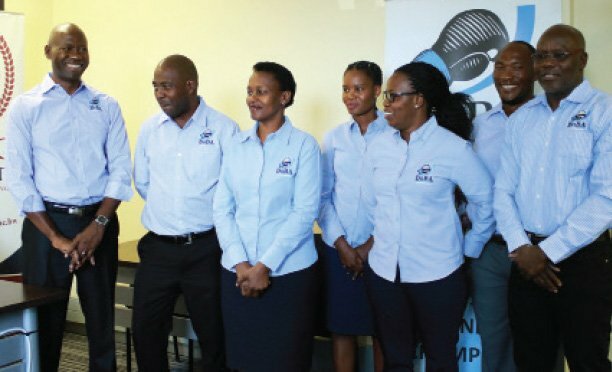 The Botswana National Sports Commission (BNSC) is poised to benefit immensely from the gambling industry that is set pick up pace in the country. Given the recent establishment of the Gambling Authority, which will regulate the national lottery, sports betting, bingo and other gambling activities, sports is poised to be one of the main beneficiaries of revenue generated from the industry. Speaking during a presentation on sports funding at the Sports Pitso held in Palapye this past weekend, Gambling Authority Chief Executive Officer Thuli Johnson said good governance is important in creating conducive environment for sports betting. Addressing Sports stakeholders from different parts of the country, Johnson said illicit activities such as cheating and the use of drugs undermines betting in sport. “You need to create certainty. If a game is scheduled for Palapye then it cannot be changed at the last minute. This will upset betters,” he said. Johnson said there are other variables that gamblers can bet on including the weather forecast and the time in which teams are going to score. “If there are last minute changes to sport activities this will make them difficult to sell.” Johnson gave an example of the UK Footaball Association where the match line up is usually revealed before the game. “There is no pre announcing of the line up, it is only known before the game starts. Even referees are not sure where exactly they will officiate before the game. Clean sport promotes betting.” Johnson said the planned national lottery will be expected to deliver around P100 million in revenue once at full value. He said the envisaged plan might take up to five year to achieve. “Whoever will be given the rights to operate the lottery will have to do a lot of marketing. My message to sport is to encourage people to buy lottery tickets.” Meanwhile local sports authorities are encouraged to come up with appropriate and transparent governance. This includes professional infrastructure, transparent and sound reporting process. To benefit from gambling industry, Sports associations are encouraged to be accountable and ensure that the funding has the desired positive effect.